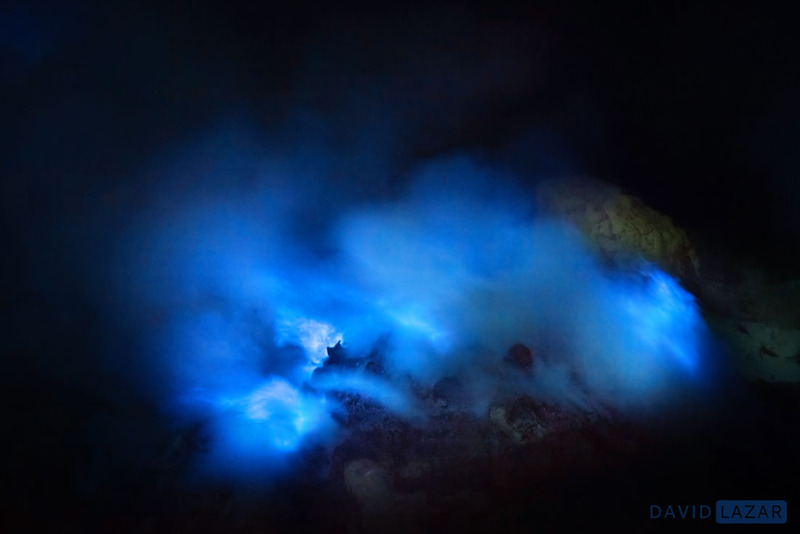 A blue fire can be seen inside Mt Ijen volcano on the island of Java, and is a result of the combustion of sulfuric gases. Flames can reach 5 metres in height and come from temperatures up to 600 degrees Celsius. This is the workplace for around 200 men who mine sulfur minerals from inside this volcano, starting in the darkness of early morning.